What a great year of battles. Without a doubt this was one of our best year’s of competition. Our top 8 were some of the strongest producers we’ve seen at the finals over the past several years. Any of these producers could’ve won this competition, but the honor of 2014 champion goes to Mike Regal. 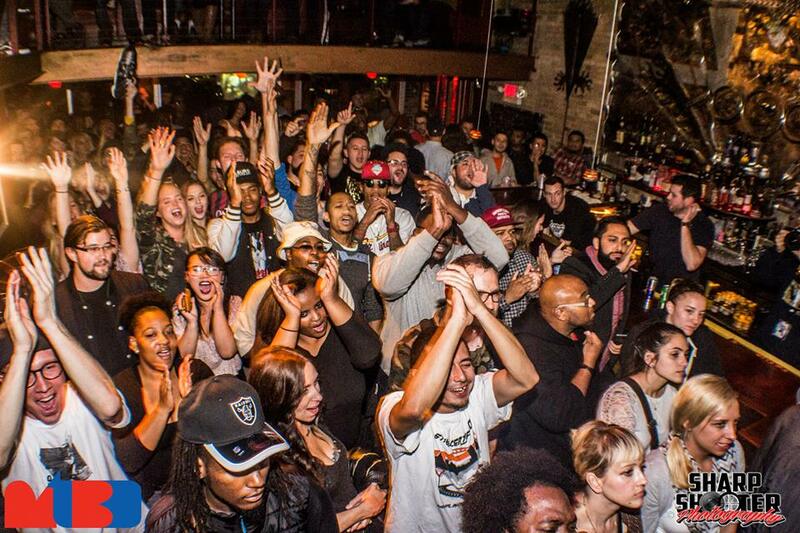 We kicked off the 2014 Miltown Beat Down with another amazing night of Milwaukee producers. 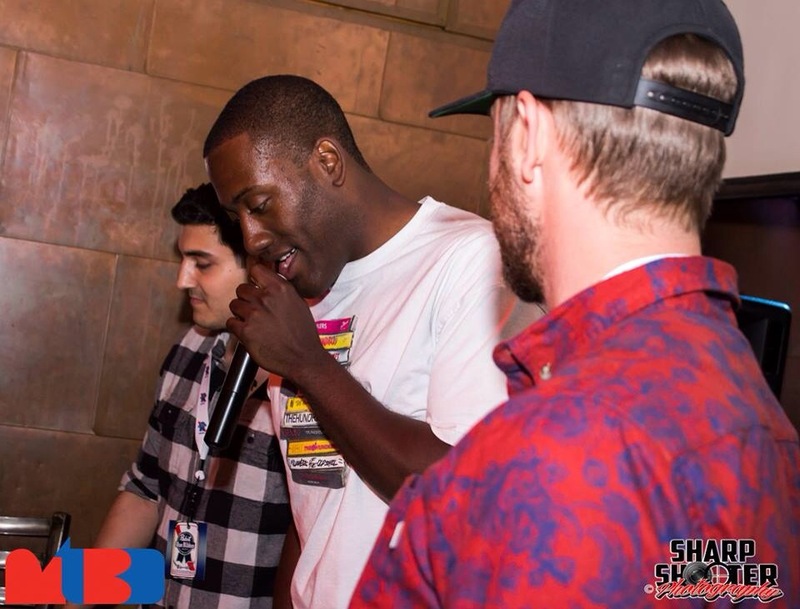 The 9th annual event featured seasoned MTBD veteran Trademark, super production team The Beat Council, and battle rookies DMT and GRRTELL. Trademark has participated in this event over the past several years, and has proven to be a force to be reckoned with. He stepped up first to take on The Beat Council. This was a great way to kick off the night with high energy, quality beats from both sides of the table. At the end of 6 beats, Trademark won the battle by only a 4 point margin! Close battle for sure. Newcomers DMT and GRRTELL stepped in the ring for the second battle of the night. GRRTELL brought a new sound, we’ve not heard in the MTBD. A kind of hybrid of UK Jump Up, Trap and Glitch. 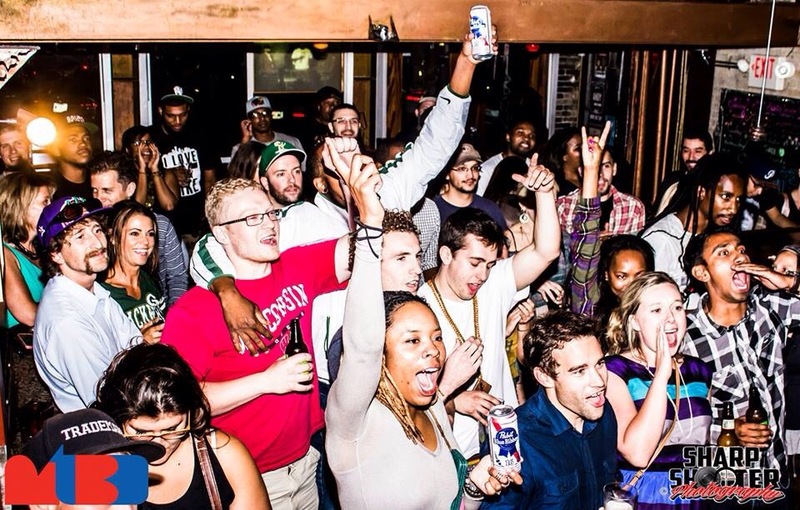 It was well received by the audience, but was not getting as many hands up, as the future street-rap beats of DMT. With a score of 425, DMT won that one. In a more stylistically matched bout, The Beat Council crew almost seemed ready for DMT. They brought some of their newest tracks, including some beats they created for the new Rusty Ps record. 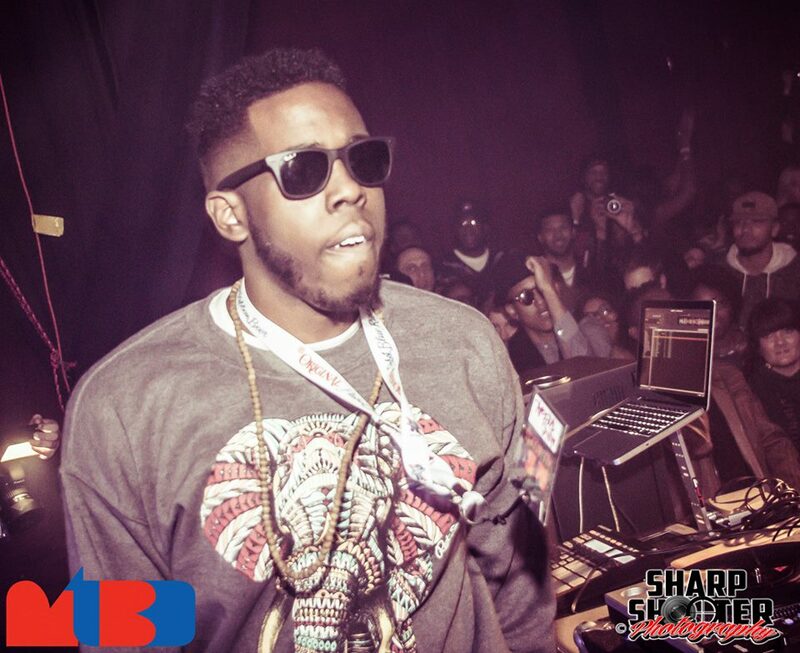 DMT and his MC Pharoah Mac have been working on some new material as well, based on the beats we heard from DMT. The crowd was close on this one, but DMT pulled ahead with a score of 407. 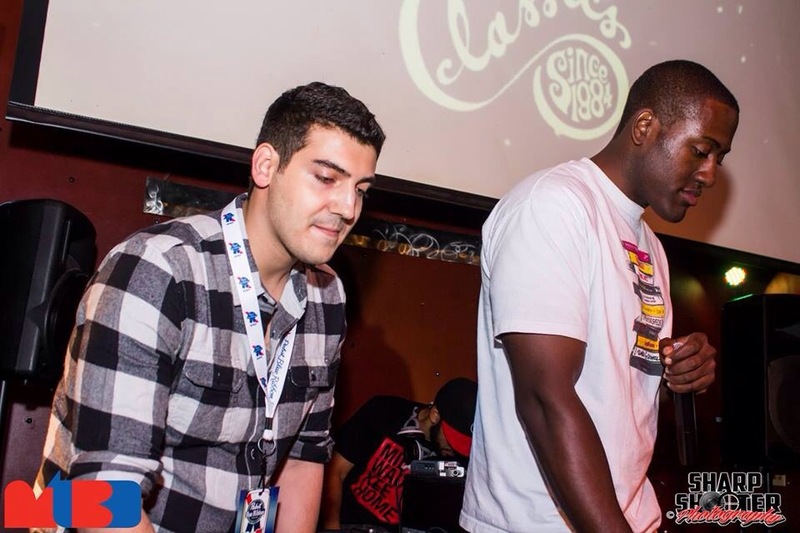 In the fourth match, Trademark again proves what a problem he can be for any beat battle contestant. He brought out some big sounding beats, but so GRRTELL. 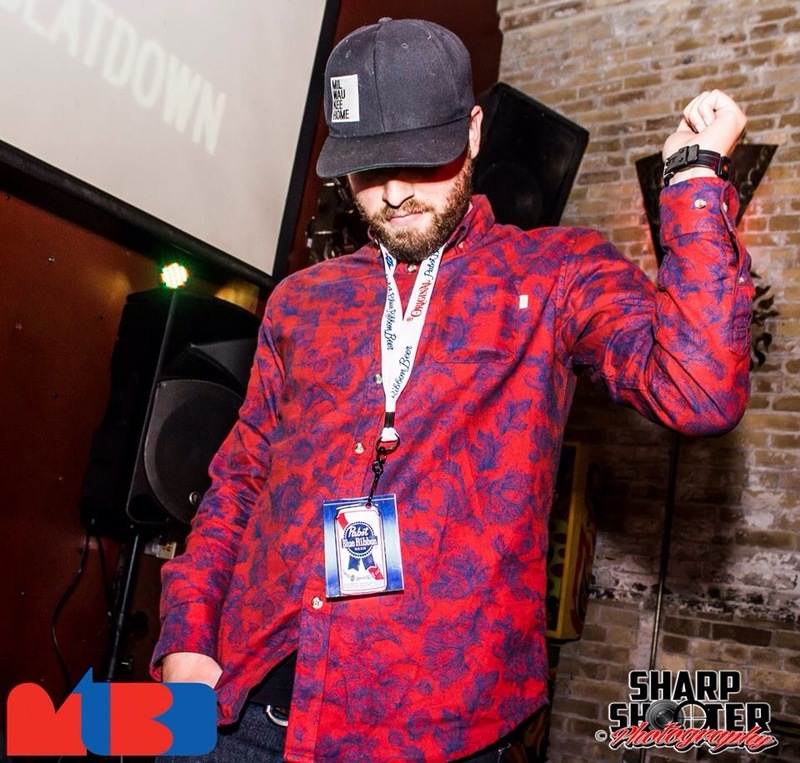 As the pace of this battle continued to elevate, GRTELL opted to dig into more of his bass heavy production and won over the crowd with a score of 398. 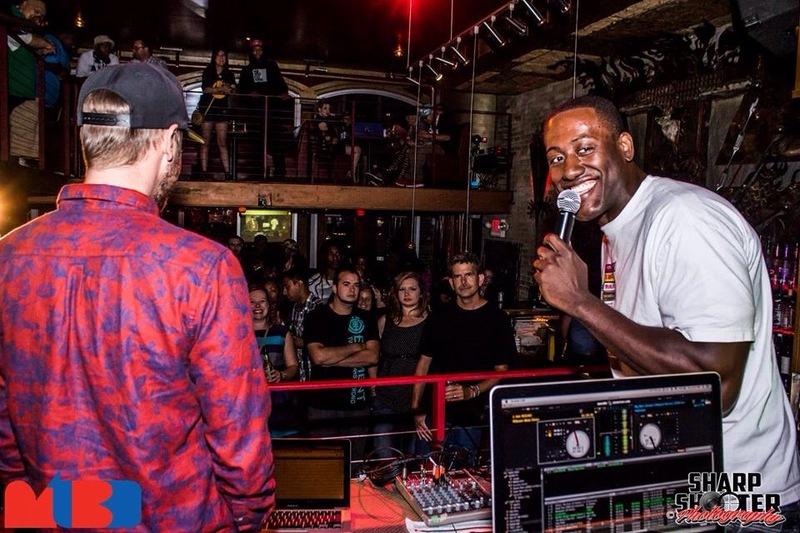 The audience was ready to turn it up a notch, and this battle brought it! Trademark came out swinging, and flipped samples that will forever change how I listen to Stax Records. DMT was determined to pull out one last victory, and so was his camp! His beats were high energy, and his crew was chanting the hooks and screaming his name throughout the final round of competition. 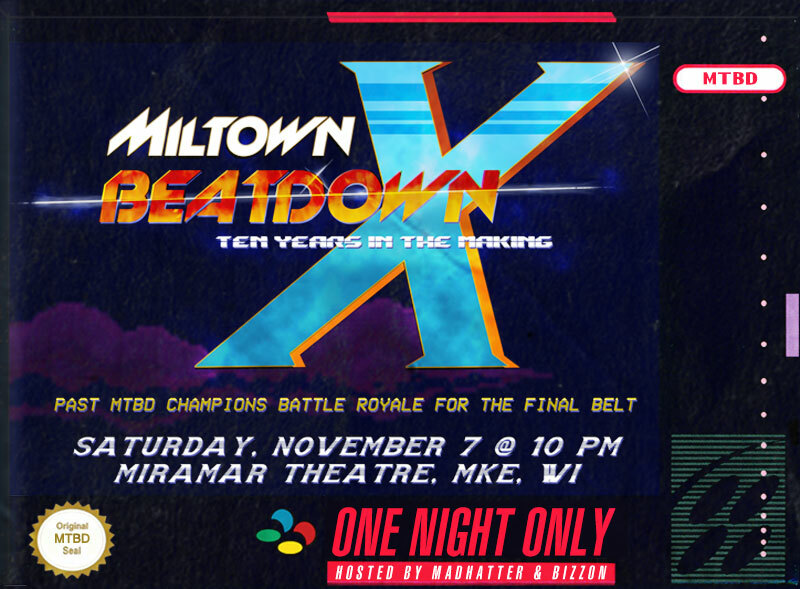 The 9th annual Miltown Beat Down battle line up has been announced! Almost 100 producers signed up for this year’s competition, and we went through 50 completed registrations, to get down to our 32 competitors. Here is the 2014 line up! This year’s battle will follow the rules of our traditional head to head battle, and again will be structured in a round robin style competition. 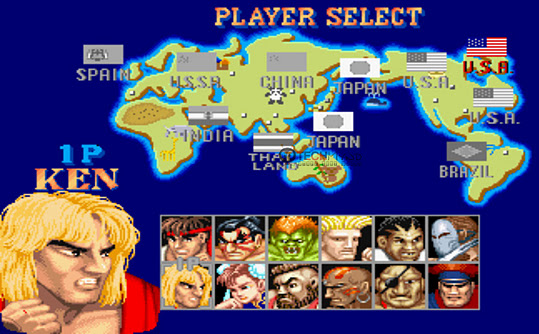 Each of these producers will battle each of the other producers one time, for a total of six rounds of competition each night. Each night’s battle begins at 10:00pm SHARP! 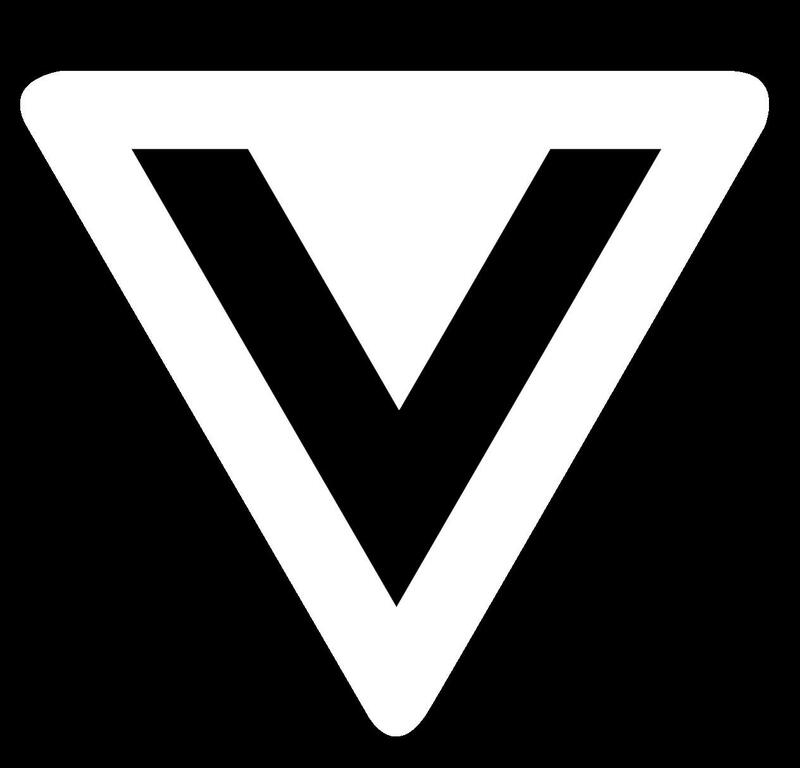 Battles will be held in the Jackalope Lounj, inside the Wicked Hop bar and restaurant, at 345 n. Broadway, in Milwaukee’s Third Ward. The Finals are November 8th at the Miramar Theater.. more details on that coming soon. 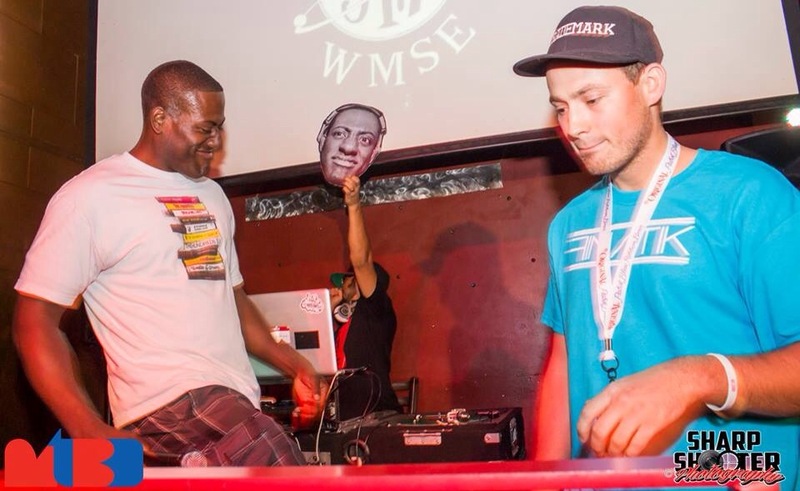 The easy answer is, you get the clout and bragging rights that go along with winning the mid-west’s longest running beat battle. ( but let’s be honest, that doesn’t motivate everyone ). In year’s past we’ve had a variety of drum machines, synthesizers, midi controllers and other studio gear as our grand prize. This year, I think we’ve out done ourselves. 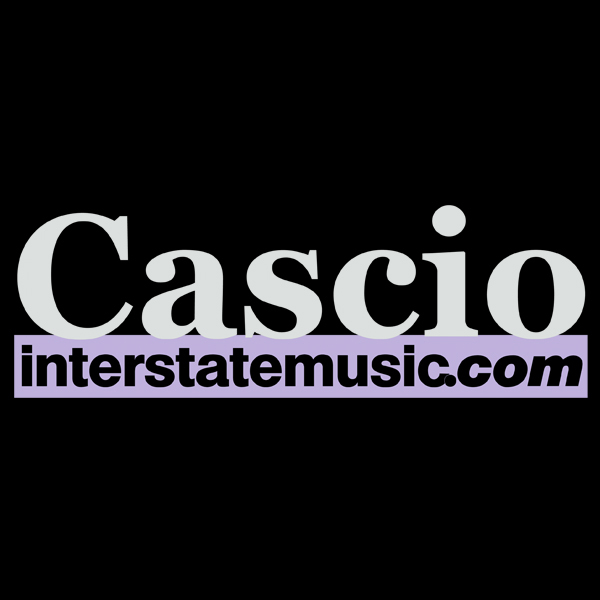 We are excited to announce a new partnership with independent Milwaukee music retailer Cascio Interstate Music. For over 65 years, Cascio has been a key national player in the music products industry through its multi-channel retail, wholesale and manufacturing. The folks at Cascio have brought some additional partners to the stage that I’m sure you’ve heard of… ROLAND and NOVATION. 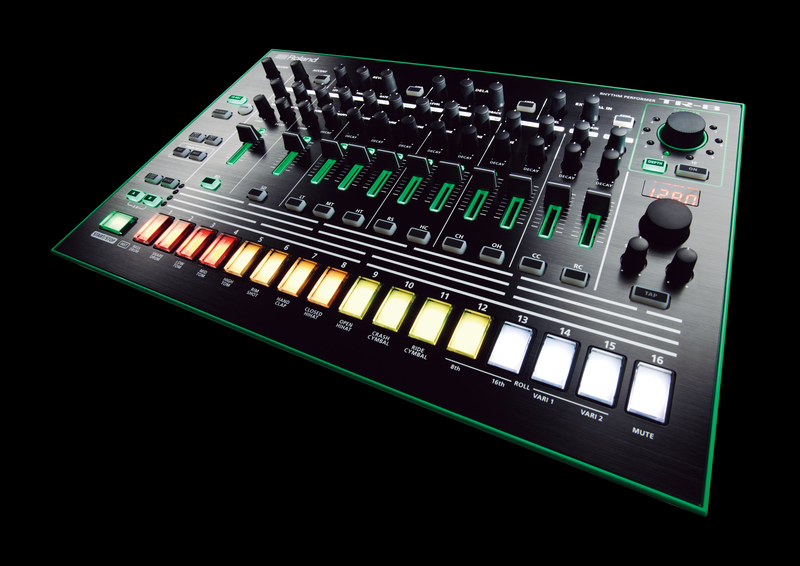 This year’s Grand Prize will be the all new… ROLAND AIRA TR-8 Rhythm Performer. The TR-8 is a performance rhythm machine that melds the legendary sound and vibe of the TR-808 and TR-909 with features and functions for the modern age. Genre-defining sounds and classic effects. Unprecedented live pattern manipulation. Solid, intuitive performance controls. Unleashed upon an unsuspecting world in the 1980’s, the TR-808 and TR-909 produce arguably the most influential drum sounds in modern music. Not only have they appeared on thousands of dance tracks over the course of three decades, but they have helped define the sound of entire musical genres. From Rap and House to Techno and Trance – these two drum machines have left an indelible mark on the art and culture of music. Now, you can recreate that vibe, with your very own TR-8. 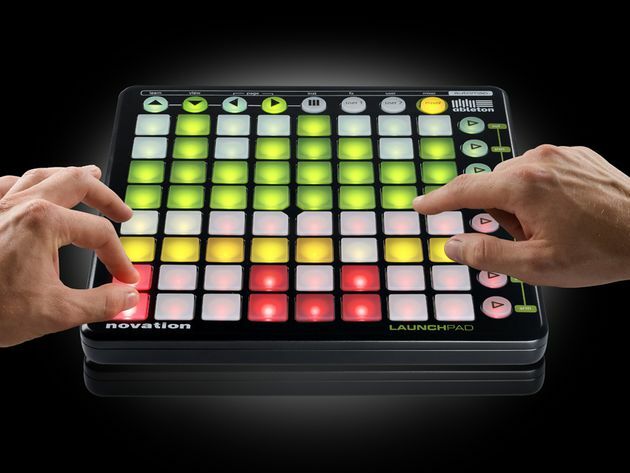 This year’s runner-up will receive a NOVATION LAUNCHPAD S.
Whether you are recording your own songs, performing your own compositions or mixing together your favorite beats, Launchpad S gives you everything you need to launch clips, trigger loops, control effects, mix your tracks and much more. It is totally portable, fully USB bus powered – no need for power sockets – lightweight and easy to pack and carry to any gig or rehearsal anywhere in the world. Winners will also receive a large prize package from MODA3, Closet Classics and Pabst Blue Ribbon. Now that we’ve got your attention… SIGN UP! 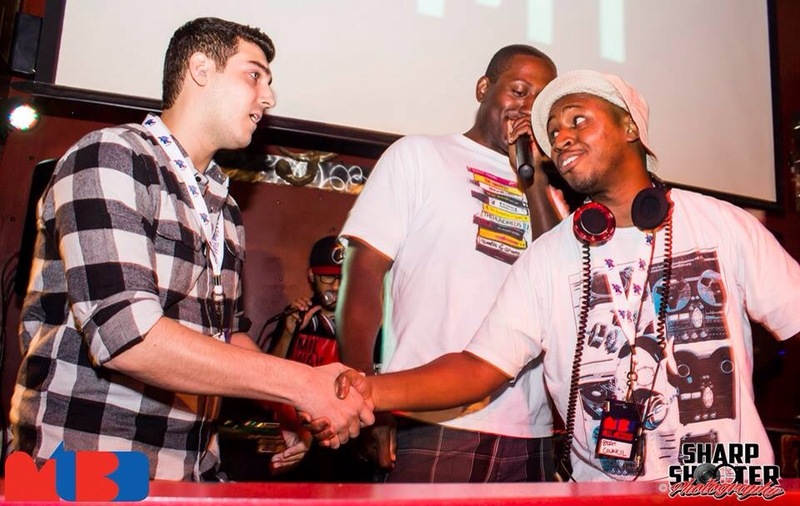 Registration for the 2014 battles will be open until August 22nd 2014 at 11:59pm. To register today… CLICK HERE!